App-based trivia sensation HQ Trivia is on its way to Android, as the company previously revealed, but a special group of users can access it right now — Canadians. The app is now live in the Canadian Google Play Store, though it’s an “Unreleased” beta version of the live trivia game (via MobileSyrup). HQ Trivia debuted on iOS earlier this year, featuring a twice daily broadcast of a live, interactive trivia show hosted by a real human being. Players can win up to $2,000 U.S. in prizes by playing and answering questions correctly. 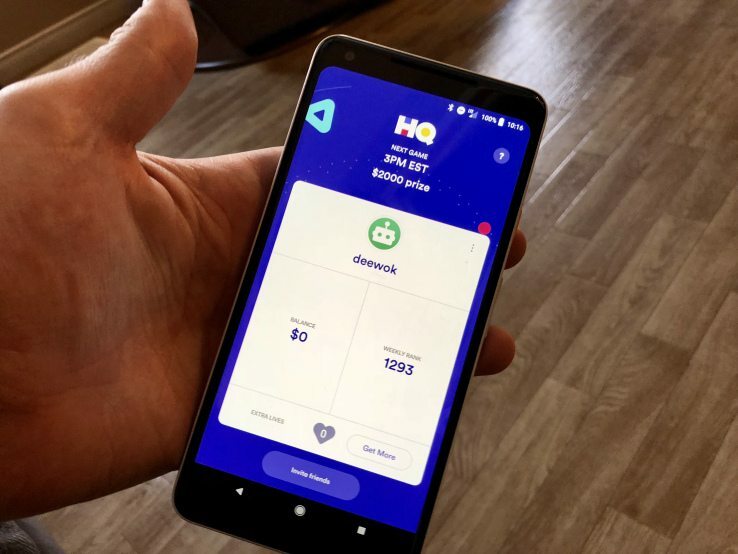 The app entered limited beta testing on Android in general starting on Christmas, and is continuing to roll out to new testers as HQ Trivia works its way towards its goal of having it available to all on Google’s mobile platform starting on January 1. People are totally obsessed with this app, based on info gleaned from my Twitter feed. I’ve never played it, but I might now that it’s crossing the platform gap, just for curiosity’s sake.